Max finds himself in possession of an ancient scroll that describes the entire history of humankind from beginning to end. Seeking to use the information for his own gain, Max triggers the mechanism that begins influencing his own life. Man - Small World. World - Giant Man. Long, boring and certainly not as good as some want to make you believe. People giving this movie a ten out of ten rating must be as delusional as the character himself. 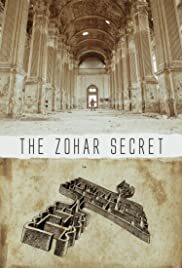 I tried really hard to be open minded like some reviewers said before starting to watch The Zohar Secret. But after one hour I had real troubles keeping concentrated on the movie. It's all very confusing and most of all boring. Okay the producers might not have a big budget but that's not an excuse to make a bad movie. First of all it's way too long and second of all way too boring and repetitive. I won't say that all the positive reviewers are involved in some way with the movie. Some might, but I also think some people have just an awful taste in movies. Like one reviewer said, that he saw thousands of movies, I did also, and to him this one was the best ever, to me it doesn't appear in my top 1000 movies. Enough said! 14 of 25 people found this review helpful. Was this review helpful to you?